a bag of Cowsmo Compost will do! 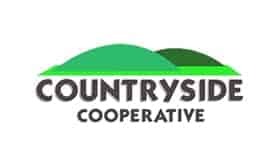 Cowsmo™ Compost is our original organic compost product. It is a soil amendment which can be added to flowerbeds, gardens, and fields. 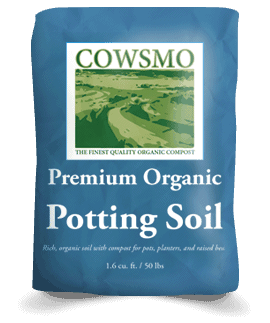 Cowsmo™ Green Potting Mix is designed for use as a seed starting media. It is meant especially for starting plants in small containers that will then be transplanted into larger containers or into the ground. Cowsmo™ Red Potting Mix is designed for general use, especially containers on the smaller side. Cowsmo™ Blue Potting Mix is designed for use in larger containers. It contains the most sand of the three mixes, which keeps nutrients throughout the soil profile, and provides good drainage for long-term potting. Windy City Harvest, a part of the world renowned Chicago Botanic Gardens, is changing a part of Chicago. They have been a Cowsmo customer for many years. Cowsmo is even on the roof of McCormak Place in Chicago. We are now offering a new mix which will be called Green Plus. 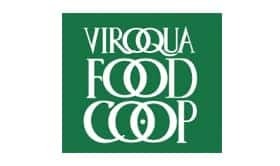 It is a custom mix developed a couple of years ago which has developed a following among a group of growers in Illinois and Minnesota. It is our green mix with double the amount of perlite and fertilizer mix. It adds a boost of fertility and aeration that seems to work very well. Some of our customers use it for starting seeds and also as a medium for microgreens. We sell it in 1.25 cuyd totes for $165/tote or in orange 1.6 cuft bags for $10/bag with 40 on a pallet. This option is designed for the discerning professional grower. We are excited to add this to our product line. JOHN QUARBERG OF MODENA, WI. IS A TRUE FLOWER LOVER AND A GOLF BUDDY OF JOHN’S. AT THE ANNUAL COWSMO CLASSIC GOLF OUTING HE TOOK HOME A BAG OF COMPOST AND SPREAD IT ON A FLOWER BED ALONG THE WALK TO HIS HOUSE. 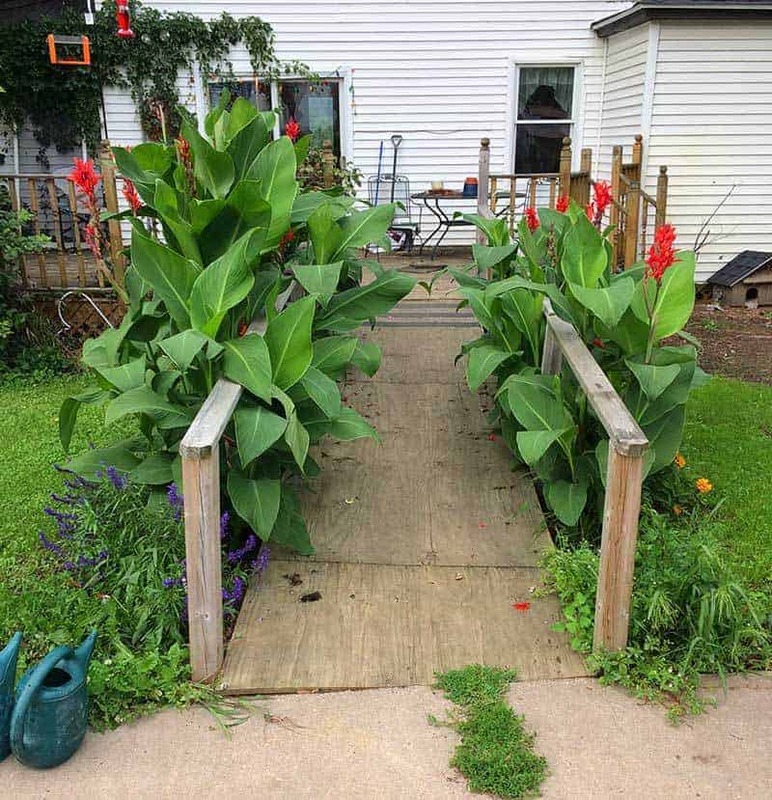 HE FORGOT THAT HE HAD DONE IT AND THEN AFTER HE’D PLANTED THE CANNA LILLIES HE WONDERED WHY ONE SIDE WAS TALLER THAN THE OTHER. THEN HE REMEMBERED ABOUT THE COWSMO!!! YOU CAN SEE THE DIFFERENCE FOR YOURSELF.